As it is Mothers Day here in the UK on the 10th March, I thought I would make a couple of cards for Mum using some bling from Meiflower. Today I have one of those very difficult to do male cards to show you. I really liked the image and know a few men who would appreciate it. 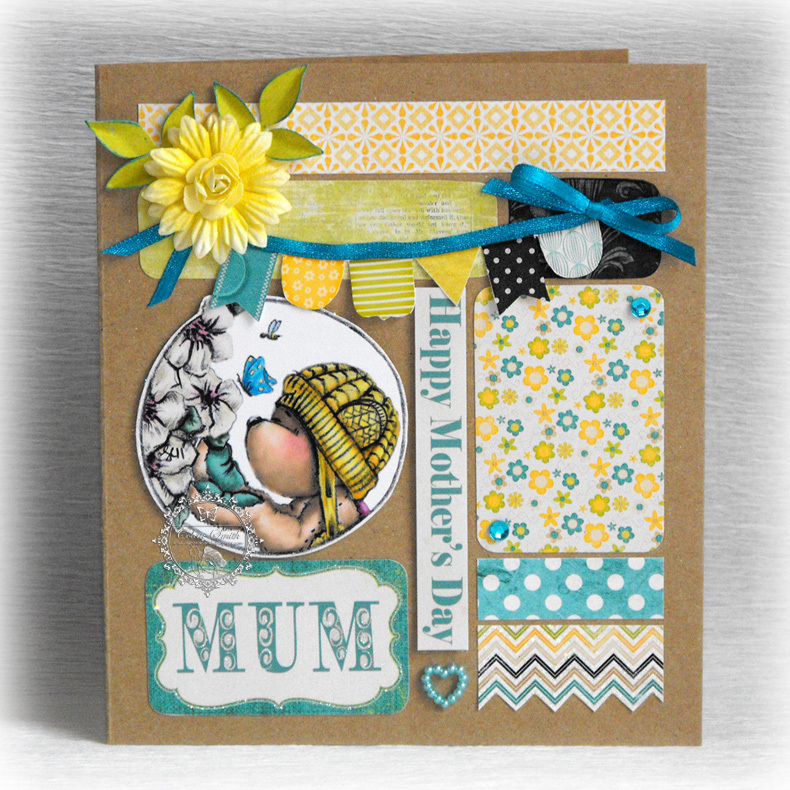 I kept the layout quite simple and decorated the card with satin ribbons which have small buttons tied onto them with waxed cords - all from Meiflower, I used a lot of primary colours as I wanted to keep it quite bright. 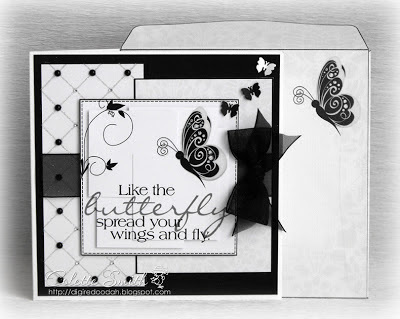 I love the elegant look of this black and white card made using a kit from Paper Creator. I added glitter to all the lines of the criss cross patterned paper then black pearls to the black dots, and tiny AB gems in-between. A black organza bow finished it off. Here's a Valentine card I made using ribbon, a charm and gems from Meiflower. The ribbon is 4mm wide satin and is wrapped around the card several times before the ends were tied together into a bow. Although the photo doesn't show it, the heart is shaped and has a triple layer of foam pads down the centre so it stands out quite a bit from the card. 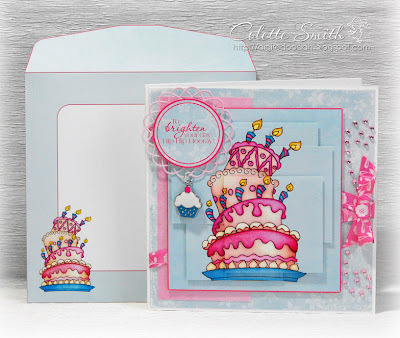 Hi, today I have a couple of baby cards to show you both using the same image, papers and dies, and lots of bits and pieces from Meiflower, ribbons, gems, pearls, pearl buckles and wooden embellishments. You can snag the date stamp (Girl and Boy) from my blog HERE. I also added a couple of swirls using some of Meiflowers stick on gems. I made this card for a friend who loves perfume and cosmetics, using a digital scrapbooking kit from Just so Scrappy called Oh So Pretty The whole design is layered up including the little eye shadow compact, which was fiddly, but worth it, as it looks quite effective in real life. I added some stick on gems to the centres of the flower designs on the lipstick and nail polish, some pink sequin blossoms to the centres of the punched out flowers, a couple of heart shaped Dazzlers ( I don't know their proper name, but I call them dazzlers as they look like they are covered in pave diamonds and are really sparkly) to the top and bottom of the sentiment panel and of course a big pink girly bow with 25mm Satin Ribbon. 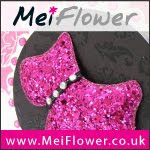 All embellishments are available from Meiflower. Today I have a wedding card I made using gorgeous satin ribbon flowers, AB gems, pearl hearts, ribbon and a sparkly diamanté heart charm all available from Meiflower. The digi stamp is from Redonkulous designs and I coloured it using Photoshop. 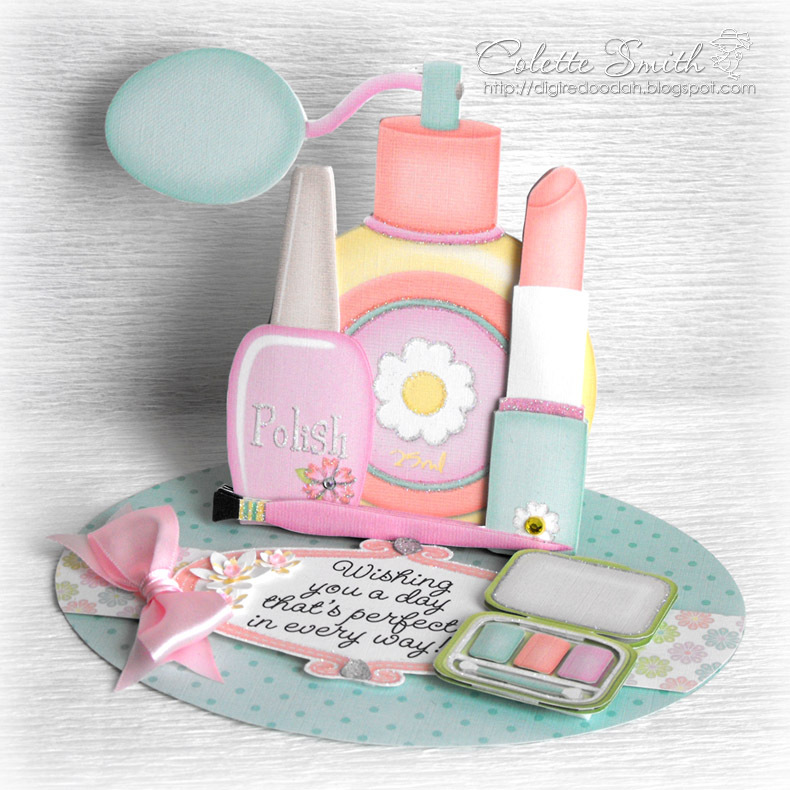 On todays card I have used little spotty buttons, available from Meiflower. 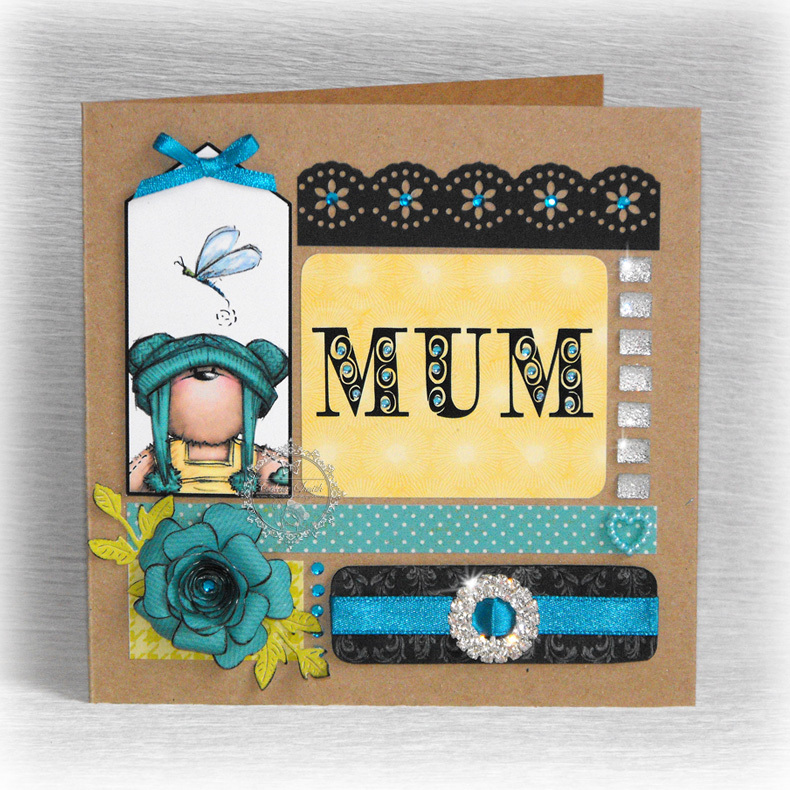 There is a huge range of colours available in both spotty and plain and I nearly always add a few buttons to male themed cards, as I don't think most of them would appreciate bows and flowers. I also added one of my favourite Meiflower charms - the wish charm - which I think is absolutely perfect for most types of card. 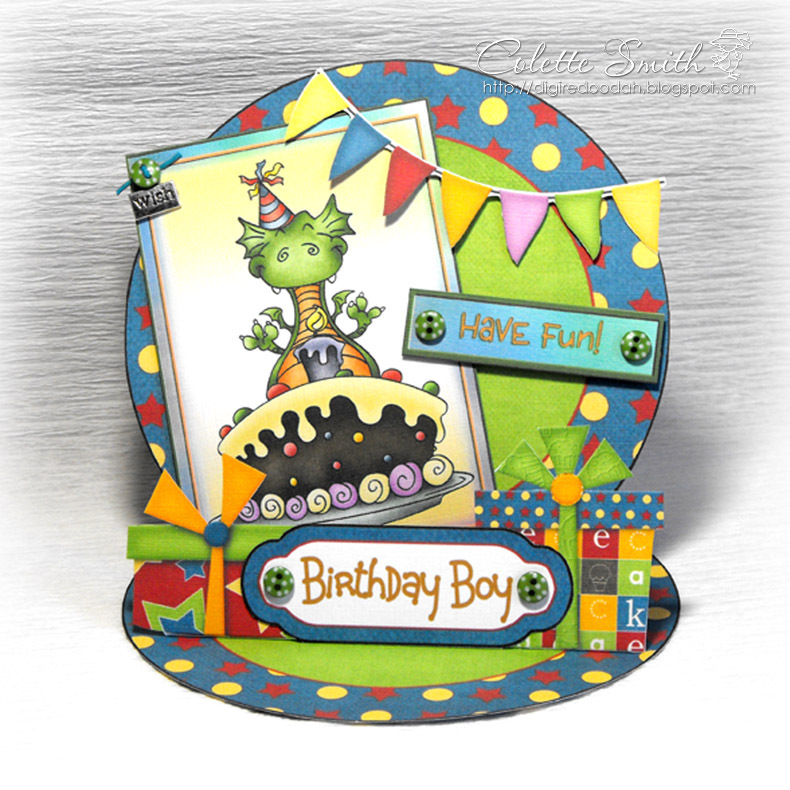 The dragon topper is from a topper selection bundle available at Paper Creator and the papers are from Just so Scrappy.